This afternoon was the upcycling workshop in partnership with Our Social Fabric. 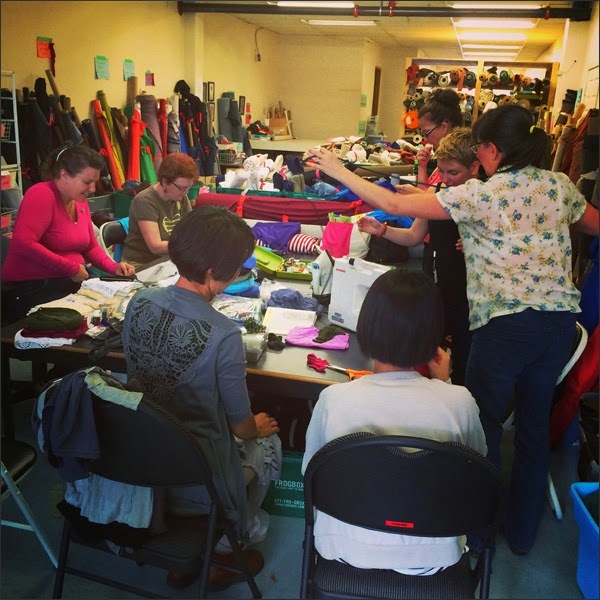 Our Social Fabric is a non-profit textile recycling initiative based in Vancouver. 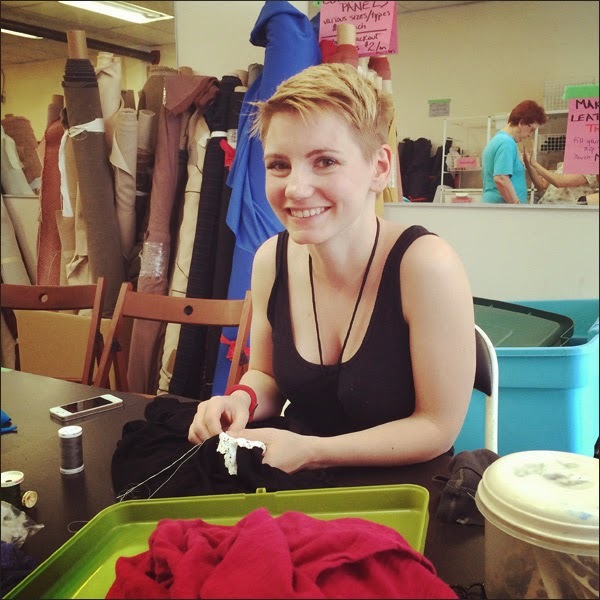 If you sew, craft and/or upcycle it's the perfect place to not only find great fabric for cheap but to also help divert materials from the landfill. Kat from OSF contacted me awhile ago about partnering up for workshops. We met, we crafted and well it was the beginning of a fabulous relationship! Today was our first Crafternoon together and it was so much fun! We had six participants who brought t-shirts to relove. It was a fun and very industrious group. 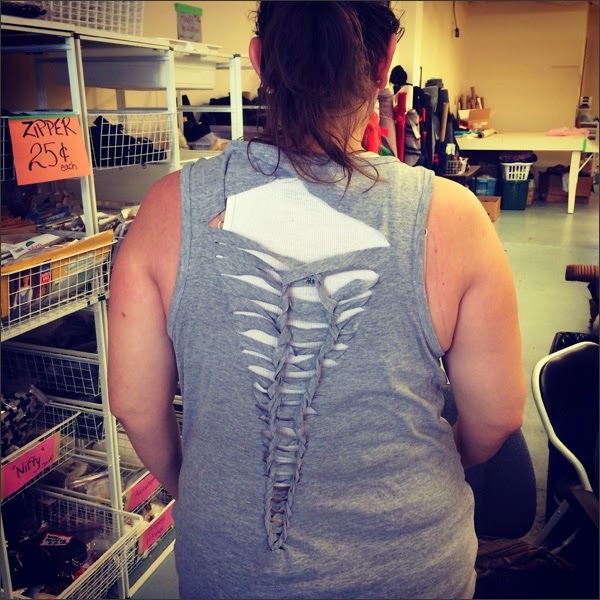 Here's my friend Tee with one of her t-shirt projects. She's rockin' it! And my partner-in-crime Kat. She's pretty darn fabulous to craft with. We got a good thing going on! Check out Our Social Fabric online or head to one of their monthly fabric sales... I scored some gorgeous grey wool for felt applique pillow covers. Yay! And check back for future OSF Crafternoons. We're definitely getting crafty together again soon!